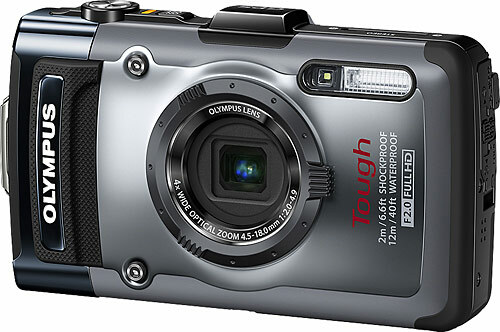 The Olympus TG-1 iHS is not just cool because it has the word "Tough" written on its body. It also packs some pretty cool features with those rugged good looks. The TG-1 iHS is a 12.1 megapixel, shockproof and water proof camera capable of shooting video in 1080p. The Olympus TG-1 iHS also has a very desirable back side with a 3 inch 600,000 pixel OLED display. The best part of all of this is we aren't supposed to know about it. Best Buy apparently jumped the gun and posted some info about the new rugged camera on their website. What does this mean to you? It's not available yet and no release date has been made. You mad bro? It's ok we did find some estimates of the price. It's going to be around $400. Not bad!